The Window Cleaning Services website provides an exclusive list of window cleaning companies from around the UK and Ireland that we can recommend for commercial and residential window cleaning. Only selected firms are included in our directory in partnership with our web services. 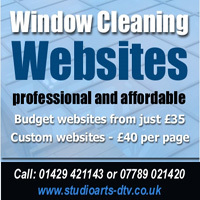 For a more comprehensive list of window cleaners throughout the UK we recommend using the Window Cleaner Directory. If you want to be included on the Window Cleaning Services website please read our terms and conditions.